democracy, equality and human dignity. situated in the town of Stellenbosch, South Africa. and was later known as Vaal Triangle Technikon (1979-2003). rural based university,located in Thohoyandou in Limpopo province. north of the Tugela River in KwaZulu-Natal, South Africa. Technikon Northern Gauteng, Technikon North-West and Technikon Pretoria. with its main administration in the coastal city of Port Elizabeth. in developing leadership in technology and productive citizenship. Bloemfontein in the Free State province of South Africa. 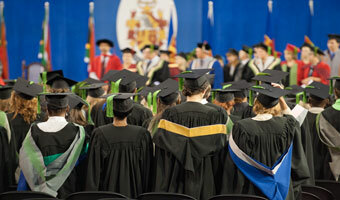 is the only university of Technology in the Western Cape province,. and is also the largest university in the province, with over 32,000 students. the administrative and de facto capital of South Africa. situated in the northern areas of central Johannesburg. It is more commonly known as Wits University. located in the Bellville suburb of Cape Town, South Africa. after the merger between the University of Natal and the University of Durban-Westville. the capital of the Free State and the judicial capital of South Africa. Universities South Africa, formerly known as Higher Education South Africa (HESA), is a membership organisation representing South Africa’s universities. Our new name was launched on 22 July 2015 in order to reposition the organisation as a representative body of South Africa’s public universities, that aims to promote a more inclusive, responsive and equitable national system of higher education. This event marked a new dawn for South Africa’s public universities as our leadership re-committed themselves to advancing the key mission of research, teaching and learning and community engagement, in a consultative and transparent manner. Universities South Africa was also refocused and rebranded in keeping with international conventions for similar organisations. To that end, this association will strengthen and enhance the work started by HESA, established in 2005, with the merger of the South African Universities Vice-Chancellors Association and the Committee of Technikon Principals. Through lobbying and advocacy, we promote and facilitate optimum conditions for our universities to operate effectively and contribute to the social, cultural and economic development of our country. We are a non-profit, non-statutory, voluntary and membership association. Strengthen the creation of a Higher Education Governance System based on the principles of cooperative governance, institutional autonomy and academic freedom.